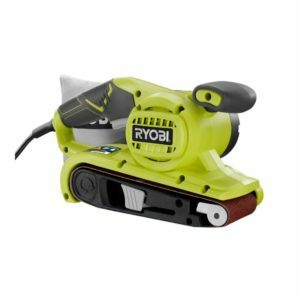 Which sander do you use for working with pallet wood? There are sanding machines of all kinds for all uses. Making my choice in the middle of all this is complicated. I’m looking for any tips & info! Let list the most frequently used sander and see their precise use. I hope it will be easier to see clearly and make your choice. The belt sander is like the big Bertha from the sander. It removes a lot of material, it’s very useful to roughen the work but totally unsuitable for finishing. It will be used, for example, to recover the natural color of a pallet that has spent too much time outdoors. 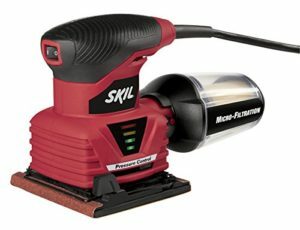 The most commonly used paper grits for this type of sander are generally 60, 80 and 120. A quick reminder: The lower the number of grains, the more aggressive the sandpaper. This is maybe one of the most versatile sanders. It removes less material at once but still allows for serious work. It can be used for both roughening and finishing. It all depends on the fineness of the sandpaper mounted on the machine (we generally use 80, 150 and 220). The orbital sander, unlike the belt sander, has a speed regulator (generally ranging from 1 to 6) which, depending on the work, allows you to go very slowly (sanding between two coats of paint/stain) as if you were going to go in a rougher way (“Cleaning” a rough pallet board). Another advantage is that it can also be used with one hand (depending on the model) and you are not required to fix the board you sand. The sheet palm sander is mainly a finishing sander, it does not remove a lot of material as it is used to make soft, without scratching in the wood. Its main advantage when working with pallet wood compared to the orbital sander is its rectangular base which allows it to go much further in the corners but otherwise, the orbital sander can do the job without worry. There are a lot of other sanders such as triangular sanding machines called “delta”, “Dremel” type sanders etc…, but we are here on Sanders with such a specific use that in 95% of the cases, they will be totally useless. 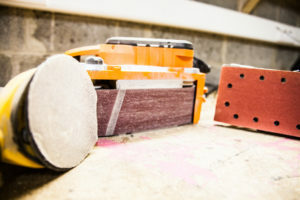 For roughening and removing a lot of material: Belt Sander. For a slightly less coarse work but with a lot of material: Orbital sander. For finishing work: Palm sheet or orbital sander. 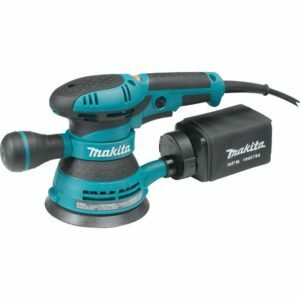 If you only had to have one sander, it should be an orbital sander. If you have the budget and for regular work on pallet wood, we recommend the duo belt sander/orbital sander. Hope it will help you to find the right sander for your needs/works. For more information on Sanders, check out this article on wood sanding tips for your pallet projects.